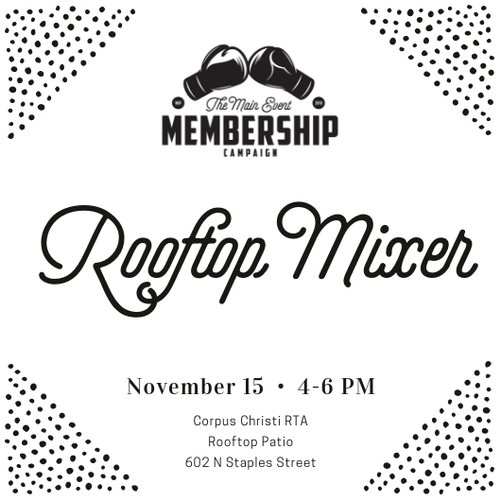 Join the United Corpus Christi Chamber of Commerce on the CCRTA patio for a Rooftop Mixer to celebrate the conclusion of our inaugural "Main Event" Membership Campaign! Enjoy complimentary appetizers, beverages and the opportunity to mix & mingle with your fellow chamber members before the holidays. We ask that you please a new, un-wrapped toy to donate to Toys for Tots; Marines will be onsite accepting donations! 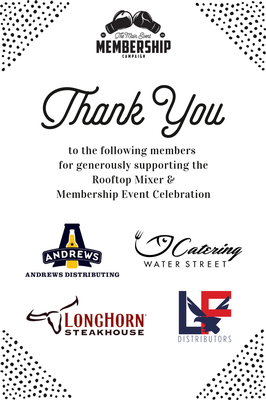 Thank you to the following members for their generous support of this event: L&F Distributors, Andrews Distributing, Coca-Cola, Longhorn Steakhouse & Waterstreet. Free and open for all United Corpus Christi Chamber of Commerce members to attend. RSVP is encouraged; but not required.